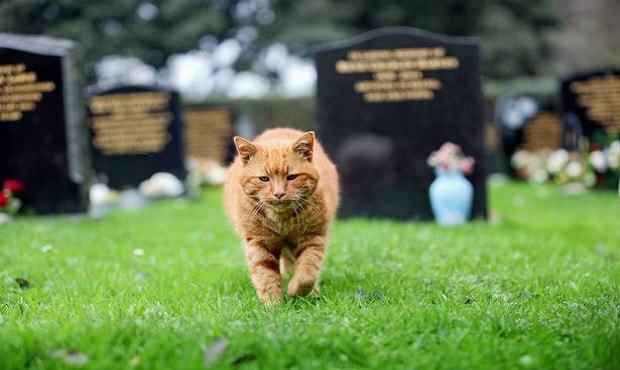 Barney used to live next to the St Sampson’s Cemetery. He would come and help grieving visitors through their pain with the gentle kindness that only a cat can give. Barney then moved to another location. Visitors thought they would’t see him again, but that was not so. Barney was faithful… He kept coming back to shed his kindness on visitors even though he had moved farther away. Alan, the cemetery sexton has looked after Barney since 1996 and he has witnessed many heart touching moments that bring tears to my eyes. “Many people that came to say forever goodbye to their loved ones, they cried much but Barney came in the right time to console them. 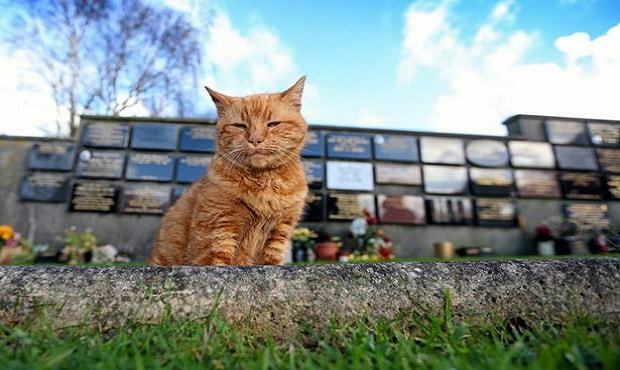 Local people put a plaque on the wall and a bench and found a little space for Barney in the cemetery where he is now buried.” reported the Mirror.co.uk. Barney was very loved by everyone and its reported that people loved him so much that they brought gifts to Barney during Christmas time. Barney’s invaluable support to all those that loved him and those he touched is enough to bring tears. He was a true friend to all, a light in the midst of the shadows of sadness. He was a true angel. “I needed a friend that day and there you were my angel!! God bless you.” another noted. 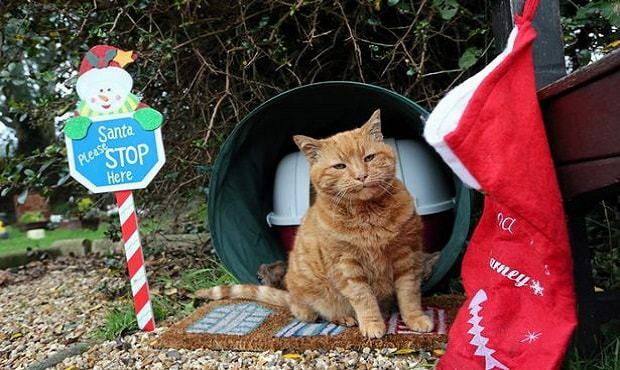 Barney the cat led a beautiful life, he touched many lives and brought happiness to so many in need. He was given a resting piece and his own spot in the cemetery. His kindness will live on forever in our minds. Barney was an angel in disguise, his love will never be forgotten. May he rest in peace forever—SHARE this beautiful story with your friends!